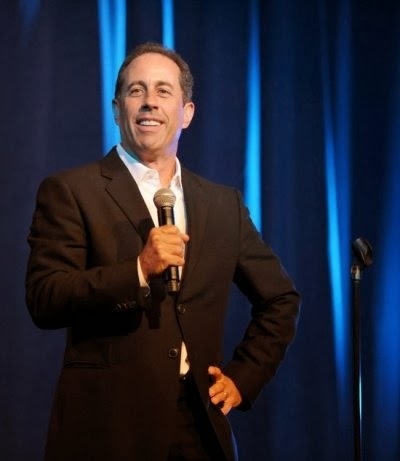 Jerry Seinfeld stopped by Peoria, Illinois’ Civic Center for an hour plus long performance of material he has accumulated throughout his years of stand-up comedy. The comedian, who has gone from retiring his material to writing new sets, combined years of comedy into one flowing set of observations that had the packed house laughing in their seats. Much of the nostalgia came from the series that made Seinfeld what he is today – the Cher of stand-up comedy. A lot of that history contributed to the comedian’s set as audience members laughed at nearly everything said, even if it really wasn’t that funny at all. This is my fifth time seeing Seinfeld live and I will honestly say that it was his least funniest. He was still hilarious and totally worth the money; he just wasn’t as uber funny as the previous shows. I attribute this to combining years and years of material into one hour, with Seinfeld, in one instance, drawing back to a joke written many moons ago regarding men “being all the same, so let’s just dress them all alike,” to “what’s the deal with Twitter?” He didn’t actually say “what’s the deal?” but that is how the joke came out. Seinfeld seems to be at the comfortable time in his life where he has nothing else to prove, sort of like Cher doing a retirement tour where the comedian drew from material from his past and present and incorporated it into a show. In one bit, Seinfeld talks about how people don’t even talk anymore, comparing communication with email in the sense that so long as you get YOUR point across you’re satisfied. Then, with Twitter, he states that talking is so overrated that people really.only.need.140.characters.to.communicate. Seinfeld ends the bit saying, I don’t even have to talk; I could just text you all my material and call it a night. He literally could have come out and said nothing and the crowd would’ve inevitably cheered. Why? Because he’s Jerry Seinfeld. And that’s why you see him in concert. He’s earned his status in the business and whether or not the material he decides to put together on any given performance is his A-material, he’s definitely worth seeing.